Are These Tenoning Jigs Worth The Asking Price? How can I determine if either of these tenoning jigs are worth the asking price? What should I look for when inspecting them? Woodcraft has one on clearance for $60 but the reviews are terrible. Just in case it matters, I do not have a T-slot on my table saw, just the standard U. As always, thanks for any advice/recommendations. The Grizzly is $85 new, used to be $60 so I'd say it is over priced. No idea about the others but a tenon jig is very easy to build with a bit of plywood. Run it using the saw fence. Hub's solution is grossly over engineered. DadOH is right, its easy to make and there are different designs all over the internet. I have made my own and am now using a HF jig I bought years ago. Which works better? Neither, they both cut tenons and do it well. My advice is make your own, after a bit of research, and see how often you use it and IF you actually need to plunk down the cash for a cast iron model. The first one is an older Woodcraft, model 144755. The second one, Grizzly H7583 looks like the same made-in-Taiwan jig with a different name. Seems to have decent reviews, once fitted to your saw. The current Woodcraft-Woodriver model 152712 seems to have suffered from Chinese cost cutting efforts. Of the three, I might buy the Grizzly. Most often, I'll use hand tools for tenons, or rig up one of the many DIY jigs on an as-needed basis. I don't need a another seldom used chunk of iron in the shop to trip over. I used to eye those jigs pretty closely for years. I have been doing serious woodworking since the early 80's. I still do not have one of these jigs and do not long for one. You can cut just about any tenon with your TS with out using one of the jigs. Are they worth the asking price? That is totally up to you and whether you use it or not. If I were to buy one, I would buy new, there does not seem to be enough price difference between new and used. If you buy new and don't like it you can return it. IMHO if they were useful/necessary, you would not see them up for sale. You can make a tenoning jig that rides along the fence for a LOT less than those. Absolutely you can! I did, it worked great, and I used it ONE time. I don't think any of the current spate are worth the price; if you're looking I'd keep looking until find a reasonably priced one of the old Rockwell/Delta HD models. I found one a few years ago for less than one of these new. The advantage is it is _much_ heavier (by double or more) and therefore has the mass to be stable with sizable chunks on end as can be for cabinet carcase work and the like. It's not the most frequently used item in the shop for certain but when it is useful, it is _very_ much so...like so many others, I have one of the lightweight PM models that was with the saw when bought it that I'd gladly part with but I'll definitely hang on to the Delta...it's just so much a better tool. Of course, it was designed in the 40s or maybe even earlier in a different era when iron was cheap and function won out over price points. I have the older woodcraft 1st listing. I paid $50 for it new. 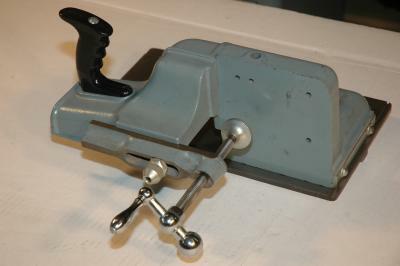 It works, I had to adjust it out of the box, it has a good range of adjustment, works on both right and left tilt saws. I have a right. If you can get it for $30 good deal, at 50 it's not a great deal as that's what I bought it for new. I have an early 2000's Delta (actually fits my oversized unisaw slot tightly). I use it a lot, best feature is the screw adjusts to dial in the tenon thickness and also the adjustments for angles and squaring up everything. They are easy enough to make if you want to save money, but sometimes I'll just crowbar open the wallet and get the instant gratification. I have two, one I made 40 years ago, and a commercial one I inherited. I used both of them about once or twice, and so I don't use either of them. I use my dado blade to make tenons. YMMV. You can make one easily, so no need to spend any money, look up a design that suits you on the internet, and make one. OT: Is it worth changing estate agents? What is the best tenoning jig? What's an old adze worth? Jointer Knife Setting Jigs - worth it or not? Clausing Drill press. Worth it? Smart meter replacement 'Smart energy display'. How long can you keep a boiler going for? Anyone know how to remove a Truck Topper rear window?